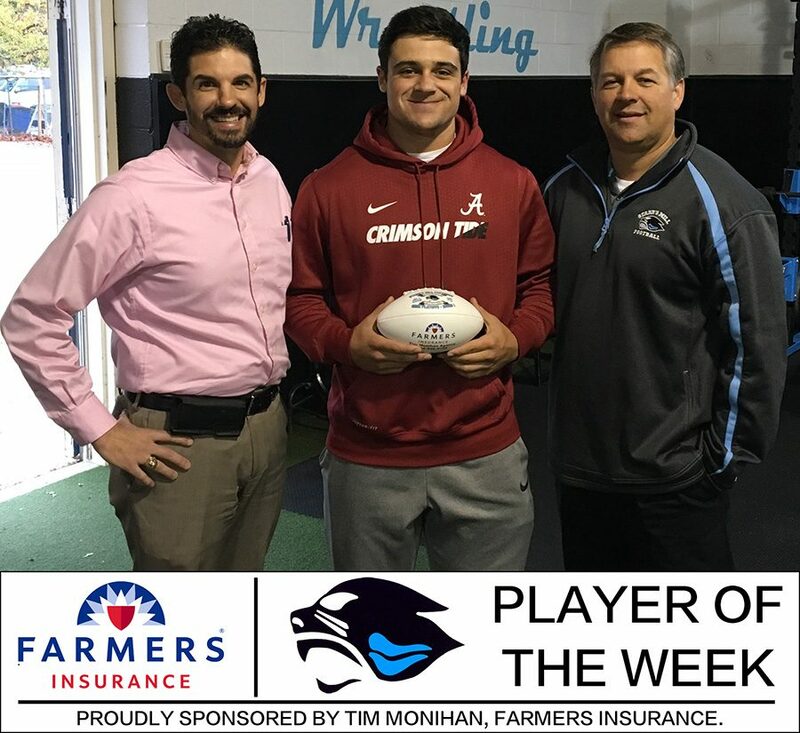 Tim Monihan and Farmers Insurance presented junior fullback and linebacker Ben Bodne with the 15th Player of the Week award for the 2018-2019 school year. This is Bodne’s second time winning the award this year. Bodne has been a physical machine on offense, totaling 303 yards on 31 carries, and scoring four touchdowns. “[The award] means a lot, because it means the coaches are paying attention to me,” Bodne said. In the loss against the New Hampstead Phoenix, Bodne had eight carries for 48 yards. He also helped out on the defensive end in the 21-10 loss. The loss ended the Panther football season with a 7-4 overall record, despite winning a third straight region championship. The team will be back next year with two goals in mind: a state championship and a record-setting fourth straight region championship.